Wired caused a bit of a stir earlier this week when it announced that it would block anyone who uses an ad-blocker from viewing its site. Worried that adblockers would eventually prevent them from making any money from their articles, Wired is rolling out technology next week that will detect and block ad-blocking extensions. It seems like Wired's efforts to block ad-blockers may be a bit fruitless, as a new extension has appeared for all major browsers that allows you to keep your ad-blocker enabled, even when a website asks you to disable it before viewing content. The extension, known as Anti-Adblock Killer, essentially tricks websites into thinking that you aren't running ad-block at all times. The extension has basically started a cycle of blocking and unblocking technologies. First, users blocked ads through very simple extensions, and then publishers fought back by developing tech that could block users running ad-blockers. Now we're essentially seeing the 'ad-blocker blocker unblocker' to remove any restrictions from ad-block blocks. The Anti-Adblock Killer extension is said to work against a wide range of ad-blocking technologies used by various publishers and websites. It's currently available for Chrome, Firefox, Opera and Safari through a script manager, with installation instructions available through the project's GitHub page. 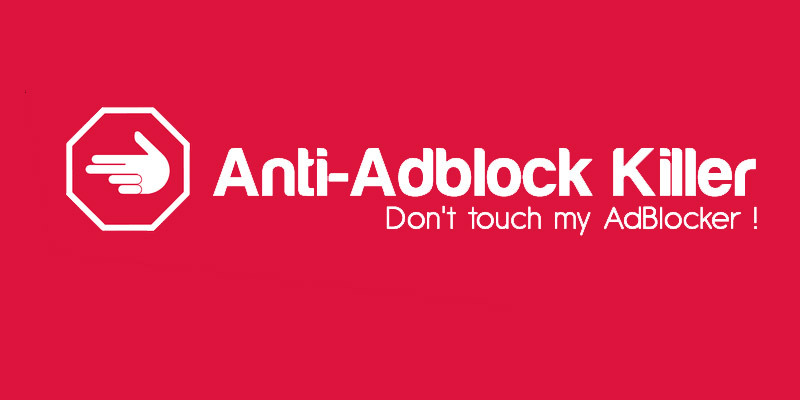 Now it's only a matter of time before we see technology that blocks ad-block blocker unblockers.